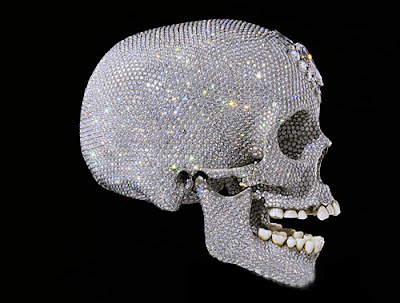 Damien Hirst, former BritArt bad boy whose works infuriate and inspire in equal measure, did it again with a diamond-encrusted platinum cast of a human skull priced at a cool $98 million. 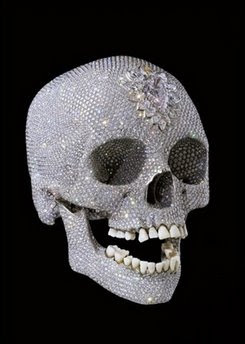 The skull, cast from a 35-year-old 18th-century European male, is coated with 8,601 diamonds, including a large pink diamond worth more than $8 million in the center of its forehead. 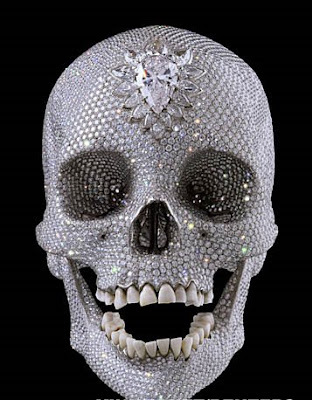 Hirst, who has a preoccupation with blood and death and whose works range from diced and pickled quadrupeds to bloody depictions of birth, said he was inspired by similarly bejeweled Aztec skulls. 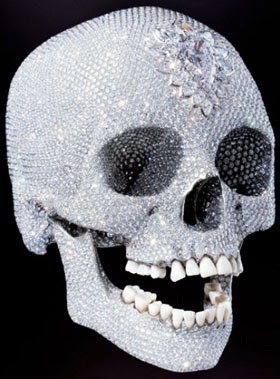 While the skull is platinum and the diamonds flawless -- and ethically sourced, Hirst stressed -- the teeth are real. “It was very important to put the real teeth back. Like the animals in formaldehyde you have got an actual animal in there. It is not a representation. I wanted it to be real,” he said. “We felt we didn’t need it, so we took it out. It feels sort of human and quirky,” he said. Hirst, whose works regularly fetch millions of pounds, said he hoped the skull would not be snapped up by a private buyer and taken away from public view. Other works in the new exhibition include pickled creatures, a flying dove suspended in mid-air, a flayed human statue holding its own skin and a series of pictures of an operation being carried out. As an indication of the wealth he has amassed since being spotted in 1991 by BritArt mogul Charles Saatchi, Hirst, who financed the skull himself, said he couldn’t remember whether it had cost £10-15 million pounds ($20-30 million). “I hope this work gives people hope — uplifting, take your breath away,” he said in response to a question on what he expected the public to get from the skull.